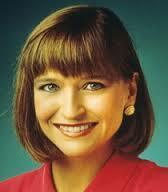 Shocked and saddened to hear of the passing of Jan Hooks. When I used to spend time out at SNL in the late 80s and early 90s, she was one of the most talented members of a talented group, which included Phil Hartman, Jon Lovitz, Kevin Nealon, Nora Dunn, and Dana Carvey, among others. I can’t say I knew her at all well, but I knew enough to say that she was as nice a person as she was talented. And that’s saying a lot. This entry was posted in Uncategorized and tagged Jan Hooks, SNL on October 9, 2014 by howardjohnson1985. I spent a large chunk of this weekend, as I sometimes do, substitute teaching for Michael McCarthy’s writing classes at the iO Chicago. Michael has put together a tremendous writing program that, unlike many other writing programs, actually results in students producing something by the end of each eight-week program. 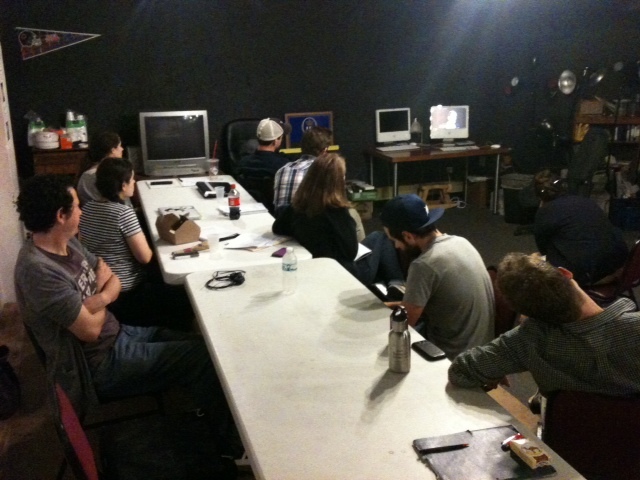 If the students put the work into it, they will have either a packet to submit to talk shows or SNL, a spec TV script, or even a complete pilot script. At the very least, they will have something to submit to potential agents for possible representation. It’s a nifty program and I’m delighted to have a part in it. Michael also shows videos during the course of each class to better give students an idea of what–or what not–to aim for. This weekend, instead of showing them a TV pilot or sketches, I decided to do something completely different, and showed a Youtube clip of one of John Cleese’s early Creativity speeches. When I used to work for John, I helped him customize his corporate speeches. The clip I found predates my working with him, but there was still plenty of useful information to help these already creative students become even more creative. Sometime I’ll write more about John and the creativity speeches. I learned a lot and I think everyone will. 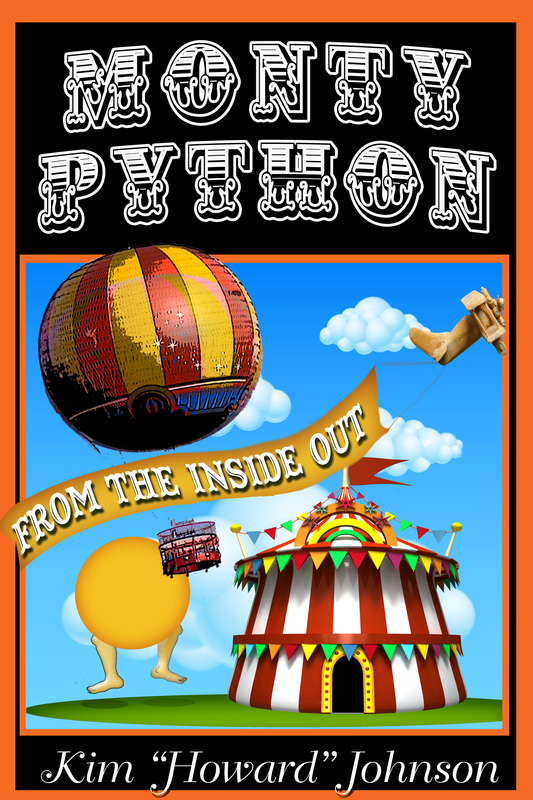 This entry was posted in Uncategorized and tagged Creativity, iO, iO Chicago, John Cleese, kim howard johnson, Michael McCarthy, SNL on June 1, 2014 by howardjohnson1985. 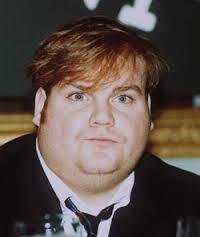 It’s hard to imagine what a 49-year-old Chris Farley would be doing right now. Movies, of course. Naturally, SNL would have wanted to bring him back as their Toronto Mayor Rob Ford. So many things… But we’ll never know, because we lost Chris on this date in 1997. It’s hard to believe he’s been gone 16 years, despite the best efforts of so many friends who tried to help him. We had all heard about this kid from Wisconsin, the one that idolized Belushi and wanted to study with Belushi’s favorite director, but we hadn’t seen him perform. He had started taking classes with Del and Charna, but they kept insisting that he wasn’t ready to perform yet. Of course, this only made him want it all the more. Finally, they decided he was ready. I seem to recall that Del tipped some of us off, that we might want to catch this kid and his first time on a Chicago stage. Del did NOT say this sort of thing, ever, so when he told us that night, we made a point of watching. I think we later came to accept the metaphor: Farley attacked the stage, with an intensity that blew us away. His was raw and unpolished talent, but he blew us away. Del later told him “You’re like one of those guys that the Vikings used to strap to the prow of their ships when they’re going into battle.” And he was right. Of course, the more he studied, the more disciplined and professional he became, but I’ll never forget that first night. Miss you, Chris. This entry was posted in Uncategorized and tagged Charna Halpern, Chris Farley, Del Close, Improv, iO, iO Chicago, Saturday Night Live, SNL, Toronto Mayor Rob Ford on December 18, 2013 by howardjohnson1985.